I had a bad week last week. The week was not bad in the sense that anything bad happened. It was bad in the sense that I could have done some things differently, and the Lord spent the week reminding me that I should have done a few things differently. It started at Best Buy. I had purchased some electronic components a few weeks earlier. Actually, it was 20 days earlier. I know it was 20 days earlier because the nice (I’m being a little sarcastic) lady behind the customer service counter told me when I arrived and asked to return the items that Best Buy had a 14 day return policy. So…I got mad…not at the lady, but at myself. The items sat on my desk for all those days. The day I purchased them I discovered they were not correct. I let them sit on my desk thinking, “I’ll take them back tomorrow.” Tomorrow finally came 19 days later. I suppose it would profit a guy to read the receipt, but seriously, who actually reads receipts? I probably leave a ton of free and discounted stuff on the table because I don’t read receipts or log on and take the surveys they ask us to take. I was mad at myself. First, for not reading the receipt and knowing Best Buy had a 14 day return policy, but I was also mad at myself for not returning the items sooner. They sat on my desk waiting to be returned. I had no excuse for not doing it sooner except that things just get pushed to the side on my desk, and I forgot (if you’ve seen my desk, you know how easy that is). The problem is that my anger presented itself in my interaction with the lady at the customer service counter. I became terse in my responses to her questions. I acted inconvenienced at her requests. Oh! I didn’t make a scene, but it was obvious I was perturbed. The more imposed upon I acted, the more imposed upon she acted…and, it was all my fault! It wasn’t my finest hour, and to make it worse, Vanessa witnessed the entire episode…which only made me more mad…at myself. Then, I got mad for being mad. It was a downward spiral. The Holy Spirit began to work on me even before I left the store. I knew why I was angry, but even so, I did my best to make it someone else’s fault. I blamed the policy. “What a stupid policy,” I thought. “She could be nicer about it,” I said in my mind. “Just take the stupid things back,” is what I was really wanting to say. Each one of those thoughts was rooted in one more overwhelming thought—“Well, you idiot, if you’d just read the receipt and gotten off your duff and returned the items sooner this wouldn’t be happening.” The responsibility landed on my plate, and I didn’t like acknowledging that fact. The Holy Spirit was present to remind me (so, too, was Vanessa–yes, the Holy Spirit works through our spouses). The Holy Spirit continued to work on me over the next several days. The Spirit first spoke through a book I was reading entitled The Spiritual Danger of Doing Good, by Peter Greer. One chapter dealt specifically with how we look to other people, and that one motivation for our doing good is because of how it makes us look to others. We’re more concerned about how doing good makes us look than actually doing good for goodness sake. The rebuke for me came because I was concerned that MY mistake made ME look bad, and I was more concerned with looking bad than I was about being good. Pride got the best of me, and I needed to repent. Tozer’s words spoke to my own shallow faith, and of my need for God’s grace. Conviction came as I realized I too easily and too quickly surrendered to the sin that is in me, than to the Savior who died for me. The disciple’s life is a daily surrender to the One who surrendered Himself on the cross for me. I surrendered alright, but not in the right way. I’m not nearly as good as I think I am. I’m not always as bad as I think I am. Not even my pride can keep God from loving me. Even my bad weeks are not really all that bad. Daily surrender to Jesus Christ is the key to being a faithful disciple. Perhaps my experience will help you not have such a bad week. Oh, and yes, Best Buy let me return the items (in spite of my attitude). One of the interesting things you discover about New York City late in the day is that lots of shop owners take their garbage out and pile it on the street. The later in the day, the more garbage piles up on the streets. 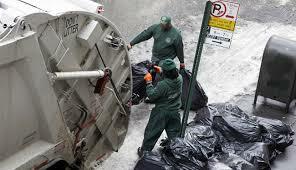 What I also discovered while in New York City is that the garbageman comes around awfully early in the morning, and the same streets that were cluttered with garbage are quickly cleaned. I’d have to say the garbageman is one of the most important people in New York City. Imagine how nasty the City would be without the garbageman. I wonder how many New Yorkers actually know their garbageman’s name? Why would they know the garbageman’s name? I don’t know my garbageman’s name. Every week, someone comes by my house, picks up my garbage and disposes of it. Sometimes I see the person/s, sometimes I don’t. They are always consistent…week in, week out. It may not always be the same person, but if someone didn’t come my garbage would pile up and become more rancid with each passing day. No, I don’t know his name, but he is definitely an unsung hero in my life, and I just felt like I needed to give a call to my garbageman (and all garbage men) this morning. I don’t know if Malkijah qualifies as an unsung hero in the Bible or not, but I think he was called upon to do a totally unexciting yet wholly necessary job. As Nehemiah gave instructions and assignments for rebuilding the walls of Jerusalem after the Babylonian exile, it fell Malkijah’s lot to work on the Dung Gate. We all know what dung is, right? Yeah, your thinking in the right direction. Actually, the word translated “dung” literally means “refuse.” It was the “Garbage” gate, and just outside it lay the garbage dump for the Temple. The garbage had to go somewhere. Malkijah, though I’m sure his work was not pretty, did the job. Garbage gotta’ go somewhere, right? I started thinking about how important it is to have a garbageman. We all have garbage. I’m speaking purely in the figurative sense here, but humor me for a minute. The garbage in our lives are those things that work to destroy us, to stink up our lives and drive people away. The problem with our garbage is we tend to hold on to it. We let it pile up…and it begins to stink and rot and become rancid. It might be because we don’t have a garbageman. What kind of garbage do we have? First, we have what’s been called “paraphernalia” garbage. Substance abuse, internet addictions, sexual addictions, gambling addictions and other addictive behavior would fall under this category of garbage. Another type of garbage in our lives is “ritual” garbage. No, I’m not talking about religious rituals. I’m talking about all the actions we take between having negative thoughts and finally taking the negative actions. Rituals are the way we make time to engage ourselves in sinful or destructive behavior. Alcoholics can be creative about these kinds of things, as can other types of addicts. Let’s face it, though. Not all of us are substance abusers. Maybe my issue is wasting too much time in front of the TV, or in front of the refrigerator. Maybe it’s too much time on the golf course, or too much time at the hunting camp. Maybe it’s too much time at the shopping mall. Any and all of these actions can be destructive if there is an addictive nature to them. My point is simply that we all have garbage in our lives, and left unattended, it will rot…it will stink up our lives. When I was a teenager, I dated a young lady whose dad had a trailer out in front of their house. It was his custom to bag up the daily garbage and dispose of it by tossing it in the trailer. It piled up for months…and it stank. It didn’t keep me from showing up, though (not much hinders teenage boys from seeing teenage girls–even stinky garbage). Imagine how it would be if you and I just let our garbage pile up outside our house. Eventually, no one could stand come around (have you seen the TV show “Hoarders”?). Simply put, we need a garbageman. We need someone in our lives that helps us deal with our garbage. We need a real-life person who we can “dump” on, to talk to and share those places where we struggle with thoughts and behaviors. “Dumping” the garbage helps us deal with the garbage. That person could be a trusted friend (don’t tell just anyone! ), a pastor, or a counselor. If confession is good for the soul, accountability is better. Accountability to another person can help us walk a walk worthy of our calling. But, unless we have a garbageman (or garbagewoman), we’ll always struggle with the garbage piling up and stinking up our lives. So, let me ask you…who’s your garbageman? There’s nothing quite like reading a little A. W. Tozer to bring a person back to reality. I should actually say keep a person grounded. I’ve written on here in the recent past how blessed how I am. I’ve even said I’m a bit embarrassed to feel as blessed as I do. I’ve also commented on the fact that I’ve been appointed to what I believe is one of, if not the, best church in our Annual Conference. I’m riding a wave of personal and professional blessing. So, what’s Tozer got to do with that? 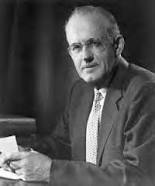 For those who don’t know A. W. Tozer (1897-1963), he was a Christian & Missionary Alliance pastor who is most famous for his two Christian classic works The Pursuit of God and The Knowledge of the Holy. He died before I was born, but his books have had a profound impact on my life and theology. A friend sent me a copy of The Dangers of a Shallow Faith a couple of weeks ago, and I’ve incorporated it into my daily devotional routine. One particular chapter brought me back to earth. Let me explain. Tozer intimates in chapter 8 that victory can spoil us. Of course, he speaks of spiritual victory, and riding the wave of personal and professional blessing as I’ve been, I would say I’ve been on top of the world. But, he reminds me, what we think is victory may not really be victory at all. The victorious Christian life is not the life that is free of troubles or trials, but rather is a “day-to-day or even moment-by-moment victory over enemies and situations that we confront in the way.” I am reminded that I face daily struggles with what even Wesley called “besetting sins”–things like anger, envy, pride, gossip and lust. My victory is not found in the great blessing I feel, but in the daily trusting of Christ through His Holy Spirit to overcome the little things that I deal with every day. Tozer also reminds me that arrogance is the sin that follows in the wake of success. So, now I add arrogance to the list, especially as I read over some of my previous posts. They do come across as a bit arrogant, don’t they? He goes on to say that the same crowd that shouted “Hosanna” to Jesus would only a few days later cry, “Crucify him.” We shouldn’t think too much of ourselves. That comes across as arrogant, and that’s one of the sins of success. That’s not to say we should live a defeated life, either. As victory can spoil us, defeat can destroy us. Just as we should not allow victory to spoil us, we should not let failures define us. Life is a daily struggle and it is too easy to become disheartened and discouraged because we don’t face those struggles in the power of God’s Holy Spirit. The danger is in allowing defeat to “put a permanent reversal in your heart.” Just as success isn’t permanent (if we’re not careful), neither is defeat. So, be watchful when things are going great, and be encouraged when things are going badly. Tozer gives some keys to surviving either victory or defeat. Rule #1: Never trust a discouraged heart. A discouraged heart always exaggerates everything. You’re not as bad as you think you are at the moment. The converse is also true–you’re not as good as you think you are following a victory. A discouraged spirit will never give you a true picture of yourself. Rule #4: Saturate yourself with God’s promises. 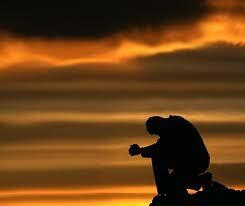 Time alone with God is the key to surviving either success or failure. Open the Bible. Read the promises of God. His Word never changes regardless of our success or failure. So, I say “thank you” to Tozer for bringing my feet back to the ground, and I can only beg your forgiveness if I’ve thought too highly of myself. It’s early. I’m up. I’m in a dark hotel room trying not to disturb my sleeping beauty. I’ve been praying for a while. I have nothing else to do. It must be time to write. What will I write? I’ll just put down all these random thoughts I’ve been praying over early this morning. As I write, I’m at Annual Conference. The Conference has been, well, different. Not different in a bad sort of way, just different in a different sort of way. For 24 years, I’ve made this annual trek to Shreveport (mostly), and for 24 years one was able to fairly predict what was going to take place at Annual Conference. That’s not the case this year. This is no complaint. It’s just…different. Different is good. Different pushes us to the edge of our comfort zone. Yes, there’s my confession. I’m a bit uncomfortable, but in a good sort of way. We need different. What wise sage said, “If you always do what you’ve always done, you’ll always get what you’ve always got.” Probably Mark Twain. Nah! Probably not, but he could have said it. What we’ve gotten is a forty-year decline in membership and attendance. Something needs to be different. I’m okay if we start with Annual Conference being different. Will changing Annual Conference change the direction of our denomination? Probably not. But, it won’t hurt. So, I’ll live with the different, and I’ll be uncomfortable, but that’s okay. I’m betting (no, I’m not a betting man) there a lot of other people uncomfortable, too. I’ve also been praying about elections. Not secular elections, but elections for General and Jurisdictional Conference delegates. For those non-Methodists who might read this, General Conference and Jurisdictional Conference take place every four years, and every four years each Annual Conference must elect delegates who will represent it at the law-making gathering (General Conference) and the bishop-electing gathering (Jurisdictional Conference). We will (today, hopefully) elect four clergy delegates and four lay delegates to General Conference, and four each to Jurisdictional Conference, as well as two alternates. So, that’s twenty people who will help lead our church and whom God will use to chart a course toward faithfulness in fulfilling our mission–to make disciples of Jesus Christ for the transformation of the world. We need prayerful servants who desperately desire to hear the heart of God. We face incredibly challenging times. I’m praying the power of the Holy Spirit (this is Pentecost Season) will fill our hearts and give us discernment as we elect those who will serve us. I’m also thinking about transitions. I watched with pride (I know, not a Christian virtue) as Chris Winterman stepped on the platform to receive his license to preach. The License to Preach is the first step along the path to ordination in the UM church, and I was blessed (that’s probably a better word than proud) to know that I’ve had a small part to play in Chris’s journey. Chris is our Minister to Students at FUMC, Monroe, and now he’ll be appointed as a full-blown associate pastor. Oh, he’ll still be leading our student ministries, but he’s simply taken another step on the journey of following God’s call. I’m also thinking about Jonathon Bevil following God’s call to Arkansas to assume leadership of the Wesley Foundation at Arkansas Tech University. I’m blessed to have shared a portion of Jonathon’s journey over the past three years, too. He was a young man who appeared at the District Office three years in search of an appointment in the UMC. From day one, Jonathon articulated a call to ministry on the college campus. I’m blessed that I’ve been able to watch that call develop. I hope I had some small part in helping him along the way. It’s been incredible to watch that call unfold. It’s amazing how God opens doors, and how His timing is always right. I hate to see Jonathon go, but who can argue with God? Reflecting on God’s call in Chris’s and Jonathon’s lives has prompted me to do a little soul-searching concerning God’s call on my life. I trust I’m being faithful to His call. I know this…I’m almost embarrassed to be this blessed! I’m at a great place in life and in ministry. I thank God for His blessings! I praise Him for His mercy and grace! There’s only one thought that comes to mind–“Don’t blow it!” In speaking the phrase, I might do just that. In the words of the old African-American spiritual, “We’ve come this far by faith…He’s never failed me yet!” I’ll keep singing that song for now, and as I sing, I’ll keep trusting that His timing will always be right. I warned you these thoughts were rather random. I’m not sure how safe it is giving anyone a glimpse into such a scattered brain. Anyway, it’s time to get ready. I’ve got Annual Conference to attend. I went to the funeral of a friend/colleague’s dad on Saturday. The friend/colleague is a pastor. He preached his dad’s funeral. He did a great job. I sat in the congregation almost teary eyed remembering how difficult it was to preach my own father’s funeral. I prayed for my friend the entire service. I’m not sure if my prayers made any difference, but my friend honored his dad in a magnificent way. The most powerful point in the service (the most meaningful for me, anyway) came as my friend shared about baptizing his own father. That was a special moment, and it probably has a lot to do with why I’m writing this morning. Of course, it could be that Father’s Day is right around the corner, too. The episode caused me to come home and “Google” my dad just to see what I found. All I found was his obituary. My dad (Terry Lynn Malone, Sr.) died on March 24, 2006. It was a Friday, and it’s a day I’ll never forget. Vanessa and I were living in Benton, LA at the time, and I had gotten up early to make the trek to Monroe for his scheduled surgery. We knew it was going to be a long surgery, but we weren’t expecting any major complications. I rushed to get to Monroe, and I prayed the whole trip that I’d make it before he went in to surgery. We arrived at St. Francis Medical Center, rushed up to the surgery floor and found my step-mom in the waiting room. I was afraid I’d missed him, but the nurse told us he was still in the holding area. They were gracious enough to allow me to go back to see him before they took him to surgery. I went into the holding area. It was a large room designed to “hold” many patients as they prepared for surgery. He was the only one left in the room when I arrived. I walked over to him, asked how he was doing, and we chatted briefly about the surgery and the coming recovery period. I can’t quite remember, but the entire conversation couldn’t have been more than two minutes. The nurse called over to us and said they were coming to take him back. I said a prayer for my dad, gave him a hug and told him I’d see him later. 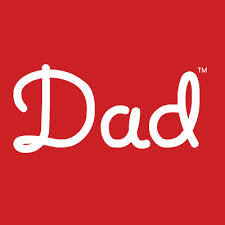 I never saw my dad alive again. I returned to the waiting room more than a little unsettled because I knew I wouldn’t be staying for the entire surgery. Ever the pastor, I was officiating a wedding that weekend, and the rehearsal was on Friday. Duty was calling, and I was responding. After sitting a while with my step-mom, my other brothers (I have three) began arriving one-by-one. After everyone was there, and a few other friends arrived to provide support and comfort, Vanessa and I headed back to Benton with my dad still in surgery. I thought I had done all I could do. No sense in sitting in a waiting room. I couldn’t be there when he was scheduled to come out, so there was work to be done. By noon, we were headed back to Benton. Five o’clock came, and we had still heard nothing from my dad. I was getting a little worried but had to get to the church anyway. The rehearsal was scheduled for 6:00 p.m. I arrived at the church around 5:15 p.m. As I was preparing for the rehearsal my phone rang. It was my oldest brother. The somber words still ring in my ears…”He didn’t make it.” As my brother was speaking those words, the wedding party was coming in the front door of the church. I’ve never felt more helpless than I did in that moment. I asked the wedding party to go into the sanctuary. I went to my office. I cried. I’d like to tell you I soldiered on through the evening…that I led the wedding rehearsal and the subsequent ceremony…but, I didn’t (after all, I’m not the perfect pastor). Let’s just say, “Thank God for retired clergy in the congregation.” Vanessa and I, and the girls left immediately to return to Monroe. It was where we needed to be…it was where I had to be. I still don’t remember what I said at my dad’s funeral…something about leaving things unsaid (we shouldn’t leave things unsaid, especially important things)…I was just doing what I knew to do. We each process grief differently. I guess that’s how I was processing it. I’ve held on to one thing through these years, and that one thing came back to me when my friend talked about baptizing his father. I didn’t have the opportunity to baptize my dad (he was a charter member of Faith UMC in West Monroe, LA), but I’ve rested in the knowledge that the last thing I ever said to my dad was a prayer entrusting him into the hands of Jesus. I still count that prayer as grace, and also as a precious gift, both to him and to me. Yeah, I’ve thought of a million things I’d like to have said since then, but then I think those things wouldn’t have been quite the gift that prayer was that day. I still miss him. I guess I always will. I know how hard it was for my friend this past week. I suspect he was doing the only thing he knew to do.